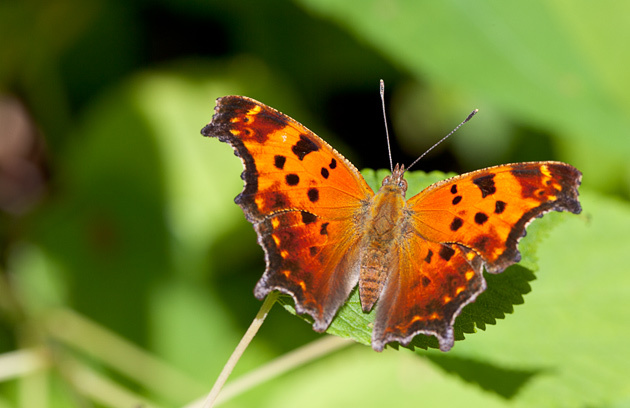 If you drive into some of the less traveled areas of the Great Smoky Mountains National Park, such as Greenbrier or Tremont, eventually the road turns to gravel, and in summer you will start to see large quantities of butterflies. So many that sometimes it’s hard to keep from running them over. 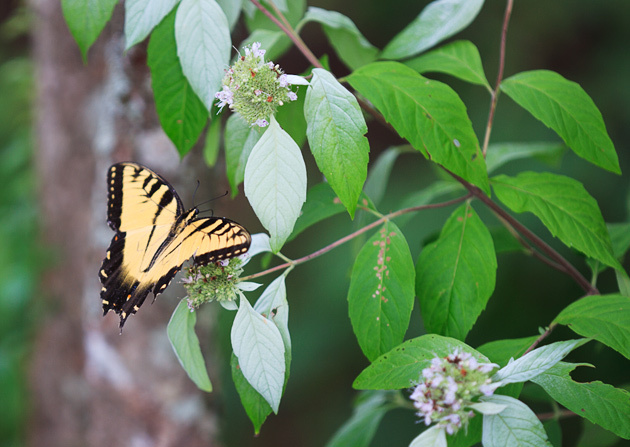 The swallowtail above is feasting on a Mountain Mint. And the butterfly below kept landing on my camera lens. I finally told him that he wouldn’t get his picture taken if he didn’t get in front of the camera, so he obligingly landed on a leaf and posed quietly. 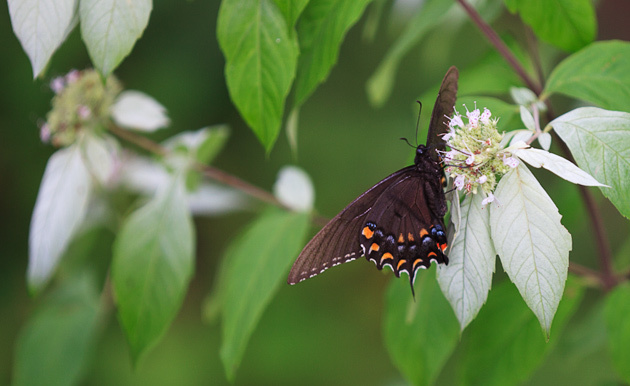 The photo below is another species feeding on Mountain Mint.